Do you need representation by an Alabama gun rights restoration lawyer? If your pistol permit or gun purchase in Alabama has recently been denied, please read the following information. WARNING: Misdemeanor Crimes of Domestic Violence regarding Alabama and Federal Gun Prohibitions. Gun restoration remedies for Alabama state court convictions. Anyone who has been convicted in any court of a qualifying Misdemeanor Crime of Domestic Violence (including, but not limited to, Domestic Violence, 3rd degree in Alabama) generally is prohibited for life in the State of Alabama from owning or possessing any firearm (See: 13A-11-72(a), Code of Ala.). Currently, violations of this offense are punishable as a Class C Felony in Alabama (See: 13A-11-84(a), Code of Ala.). Additionally, the same persons are also generally prohibited for life under Federal law from possessing any firearm or ammunition in interstate or affecting commerce or shipping or transporting any firearm or ammunition in interstate or foreign commerce, or receiving any such firearm or ammunition.Violation of this Federal law prohibition is a federal criminal offense punishable by up to ten (10) years imprisonment (See: 18 USC 922(g)(9) (the Lautenburg Amendment); 18 USC 921(a)(33), 924(a)(2), 925(a)(1), 27 CFR 478.11,478.32). 3) The conviction was set aside or EXPUNGED; the person was PARDONED; or, the person’s civil rights were restored (if the law of the jurisdiction provides for the forthe loss of civil rights under such an offense). CAUTION: This exception does not lift the Federal firearms prohibition if: -the expungement, pardon or restoration of civil rights expressly provides that the person may not ship, transport, possess, or receive firearms; or the person is otherwise prohibited under by the law of the jurisdiction in which the proceedings were held from receiving or possessing any firearms. At the time of this writing (October, 2016) a Full Pardon with no limitations granted by the Board of Pardons and Paroles in Alabama from an Alabama felony or domestic violence misdemeanor in a state court has the effect of removing this gun prohibition ground and restoring the persons gun rights under Alabama and Federal law. (This assumes the felony or domestic violence misdemeanor conviction is the only firearm prohibition ground that is disabling the person’s gun rights under state and/or federal law). We provide legal representation through the entire pardon process throughout Alabama. 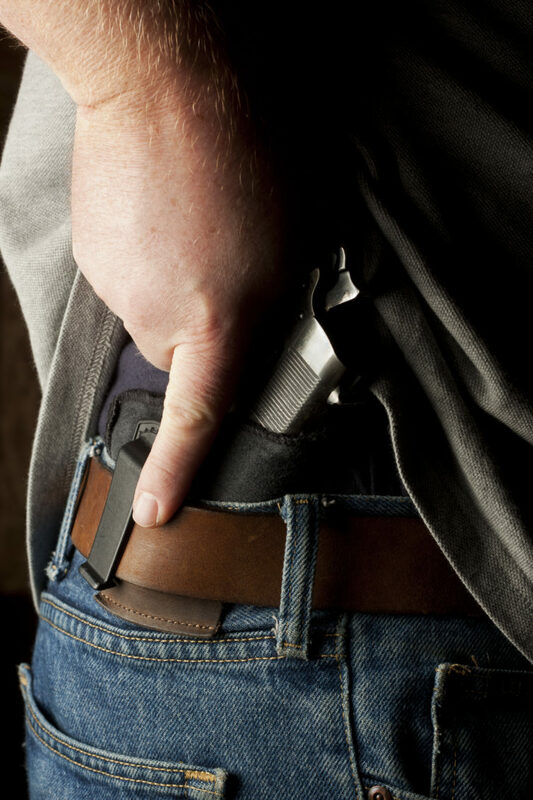 Several Alabama gun laws were amended by the Alabama legislature recently and now we are seeing a spike in the number of Alabama citizens that are being denied an pistol permit or renewal of their pistol permit by their county sheriff. In many instances the person may have had an old conviction that was charged as a “Harassment” or “Reckless Endangerment” however the accuser in the case may have been in a “domestic relationship” to the defendant. In these cases, current law may consider this a “domestic violence crime”. And if you were a defendant in this type of case in Alabama and plead guilty or were found guilty, your best remedy currently under Alabama law may be be the pursuit of a pardon by the proper jurisdiction. Have you been convicted of a domestic violence misdemeanor in Alabama (aka: domestic violence, 3rd degree)? Are you interested in pursuing your options to remedy and restore your gun rights under Alabama and Federal law? Alabama Gun Rights Restoration Lawyer, Jordan M. Copeland provides statewide representation for Alabama citizens seeking to restore their gun rights. Contact our office by phone at 205-924-3839 or 251-545-3637 or email Jordan@ExpungementAlabamaLawyer.com to schedule an in person or telephone consultation regarding your situation.